There are still quite a few people living today in Auburn and the Finger Lakes who knew Frank Barney though he died in 1954. There are many local families who have had Barney painting passed down to them from their parents and grandparents who knew the artist and purchased their paintings directly from him. Most of his paintings stay in families for generations. He remains so well known in the area that I have not needed to create a biography of him however as time passes on and fewer people remember him I can give a short summary. A thorough and very well researched biography of the artist is available through the Schweinfurth Art Center in Auburn – Frank A. Barney – A Man of His Time by Carol Intemann Contiguglia, 1983 & 2007. I know the artist by his paintings. 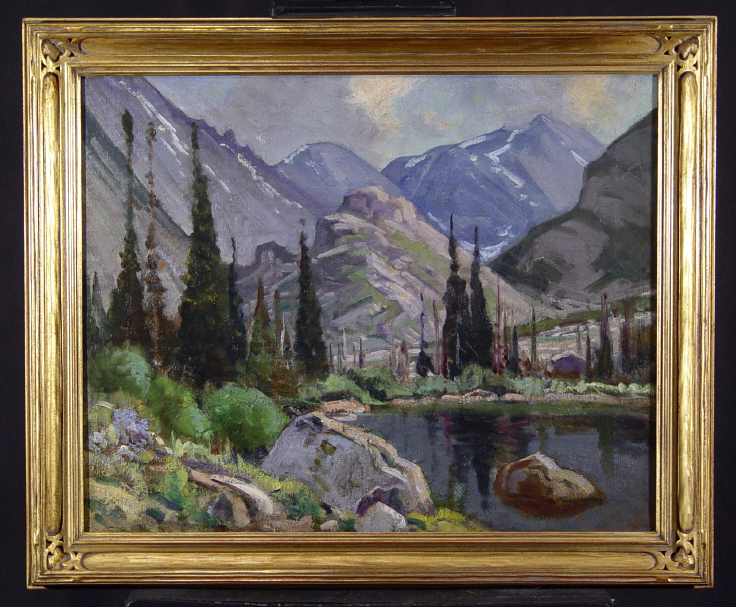 I have cleaned and repaired and re-varnished over a hundred, possibly 150, of his paintings in the last 35 years. There have been two major retrospective shows of his work at the Schweinfurth Memorial Art Center in 1983 and in 2007.
knew the local artists William Henry Yates, C.P. Rising, Harry Sunter, Bruce, E. H. Gohl and must have been aware of the arts from a young age. Frank Barney moved to Auburn in 1881 and remained there until his death in 1954. His early style was very much second generation Hudson River School fairly tight and traditional with an earthy palette and a tight signature. Very competent depictions of local landscapes. 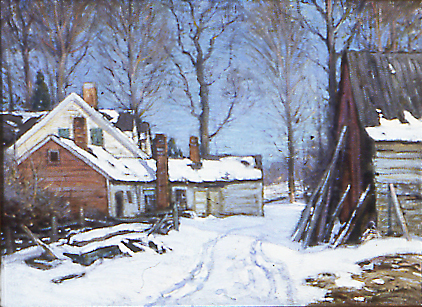 With the support of Thomas Mott Osborne he was able to spend most of 1895 in France and his style dramatically changed – he studied the techniques of the French became an American Impressionist. He continued his studies on returning with time spent at the Art Students League in New York and the art colonies on Long Island and Connecticut. He may have returned to Europe briefly before his eventual residence in Auburn. 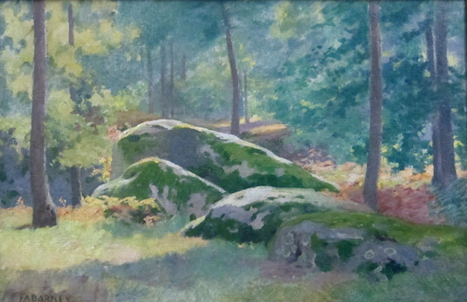 He exhibited at the National Academy of Design and met and knew just about all of the celebrated New York and Philadelphia Impressionists of the day, including Daniel Garber. Frank Barney’s impressionist landscapes could hang in any major gallery of American Impressionism and fit right in, even though he is today little known outside of Auburn and the Finger Lakes. 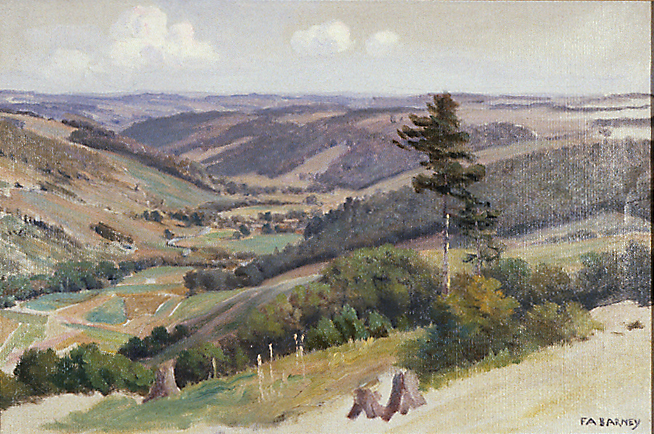 Through everything he always painted, produced a large body of work and remained in Auburn until his death in 1954 aged 92.